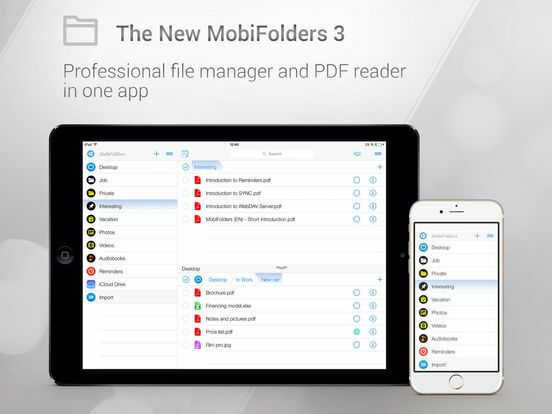 MobiFolders is the fastest, most intuitive file manager for iPhone and iPad. The app provides a simple solution that works to edit and manage all files, folders and documents regardless of the data size. Want to import and export your documents? MobiFolders can help you with that. With just a tap, you can choose which files to import or export to or from your iPhone or iPad. 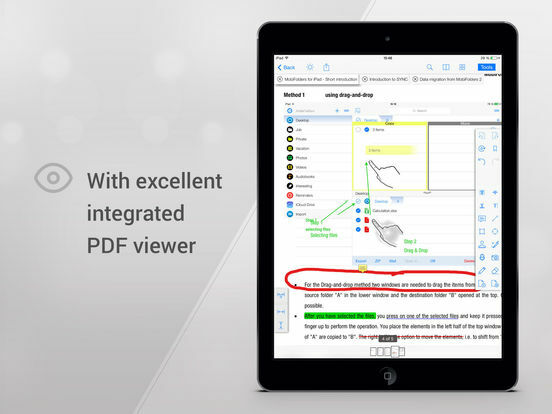 This is the perfect tool for effortlessly editing the content of an existing PDF document by swiping, tapping or dragging a finger. Insert comments, highlight sections, add pictures or delete words – anything is possible with MobiFolders. Among various interactive features, the app allows you to manage and locate files within a matter of seconds using the full-text search bar. 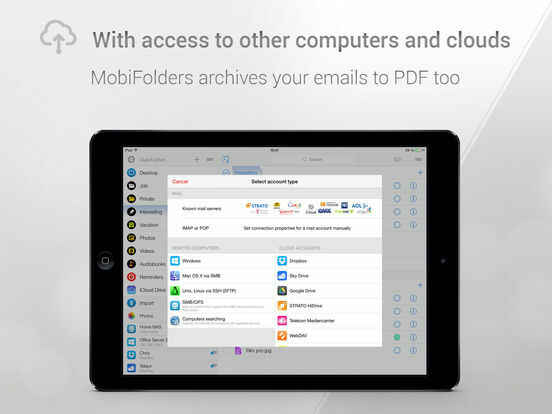 MobiFolders also gives you the ability to synchronize information between the iPhone or iPad and other locations. 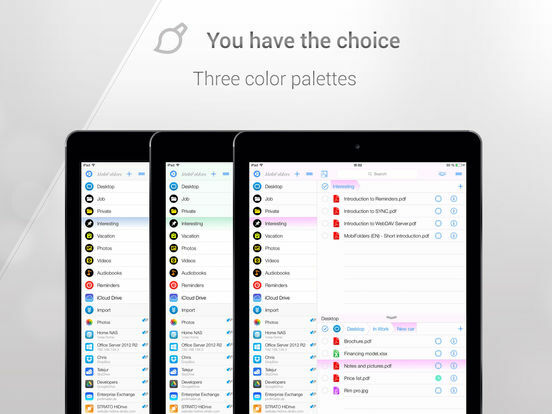 From editing files to synchronization to email management and more, MobiFolders turns your iPhone or iPad into a highly functional, lightweight and portable productivity solution.